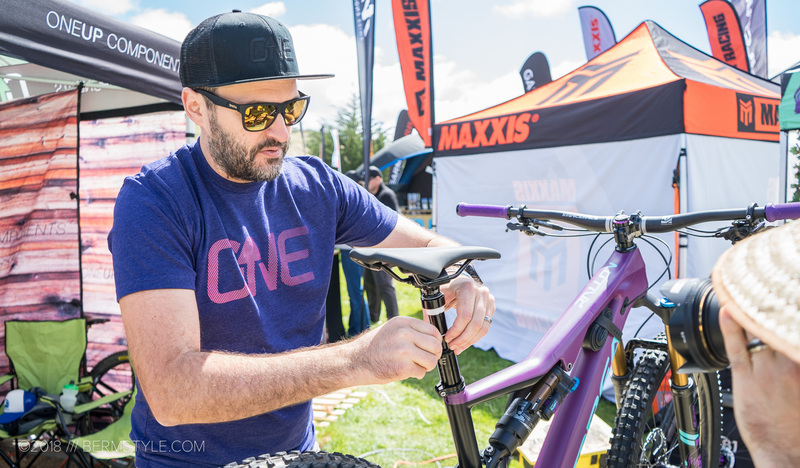 I’ve been a fan of OneUp Components since the inception of the company. 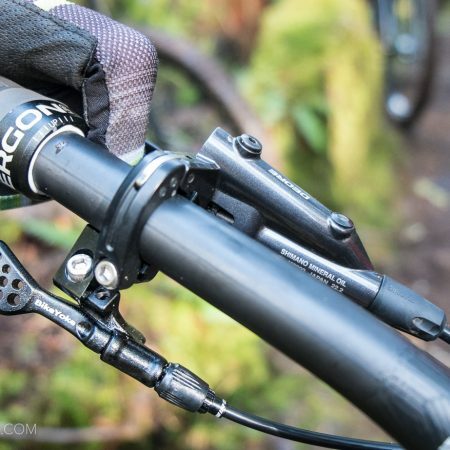 With the launch of their new dropper post, they’ve once again produced what looks to be a stand out product in a quickly growing category: dropper posts. 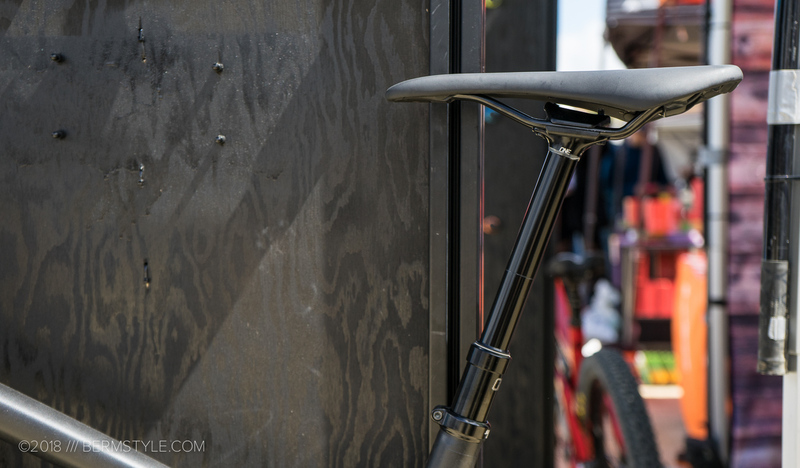 In fact, of all the new products we found wandering the expo at the Sea Otter Classic, their long travel post — featuring up to 170mm of travel — stood out as the product that I was most impressed with. 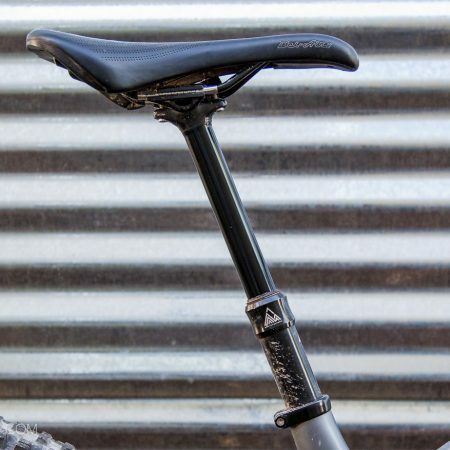 Let’s start with the obvious one — price. 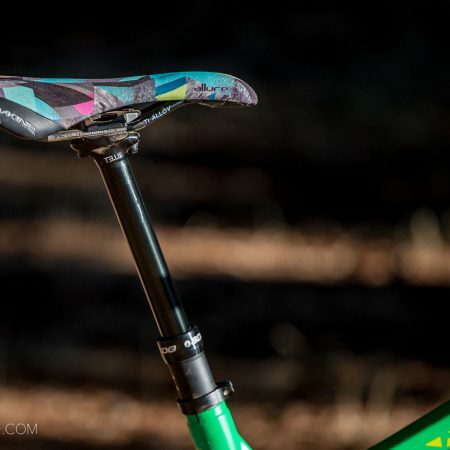 The new post crushes the bulk of the competition here, listing for $249 with a remote lever, but it’s also available for $199 without, for riders that already have a remote they prefer. 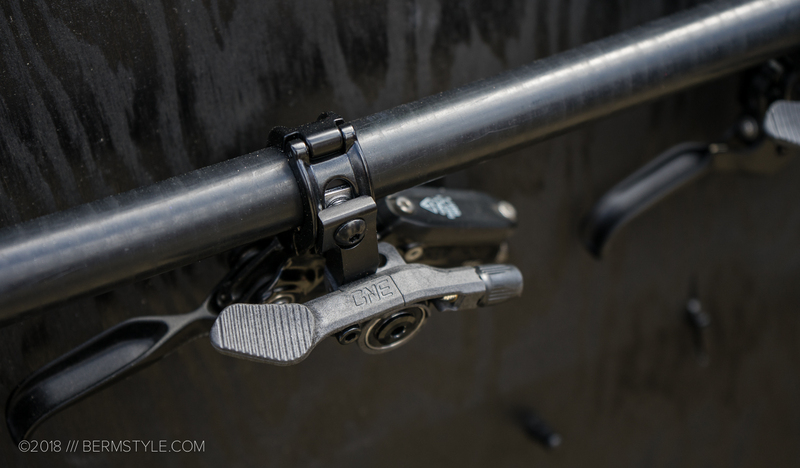 You can also specify the type of clamp you want — attachments are available for Shimano i-Spec, SRAM matchmaker or a traditional band clamp. 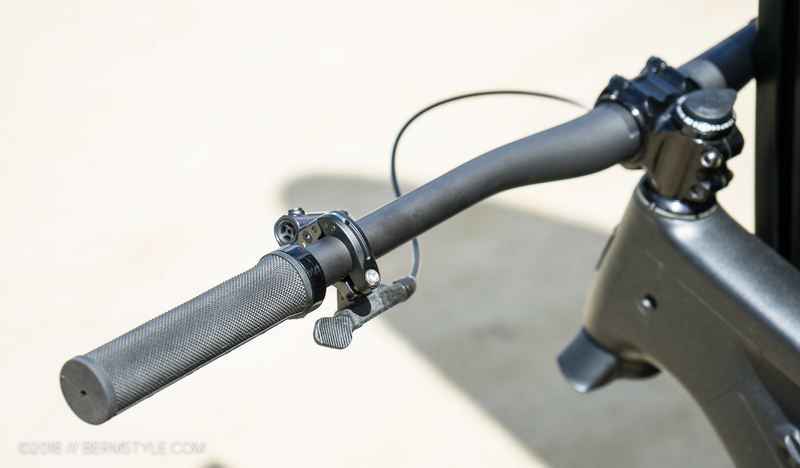 That said, their new remote looks to be more than worth the money. 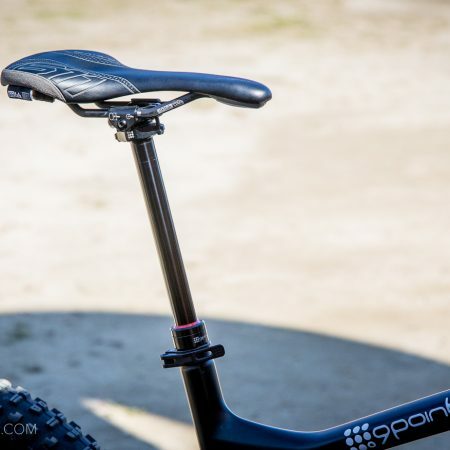 The large paddle has a great feel to it and plenty of surface area, and the low profile design looks less likely to be struck by a knee in bad scenarios. Having broken at least one Reverb remote already, this is rather appealing. Speaking of Reverbs, although they initially set the bar in terms of performance, they have always had a sore spot – long term durability. I have 2 defunct posts that have sat under my workbench for two winters now that have yet to be rebuilt or addressed. 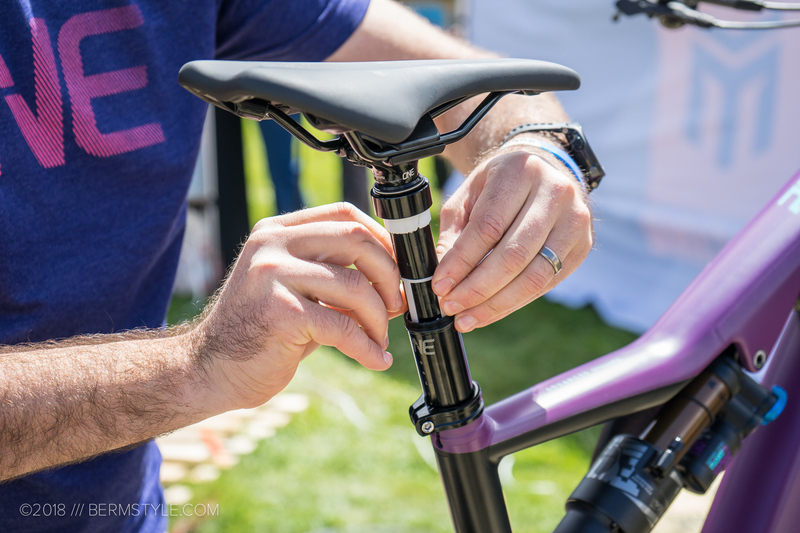 Not only is the new OneUp Dropper easily broken down for service, they also offer a replacement dropper post cartridge ($80) that is user replaceable and fully sealed for when it inevitably wears out. 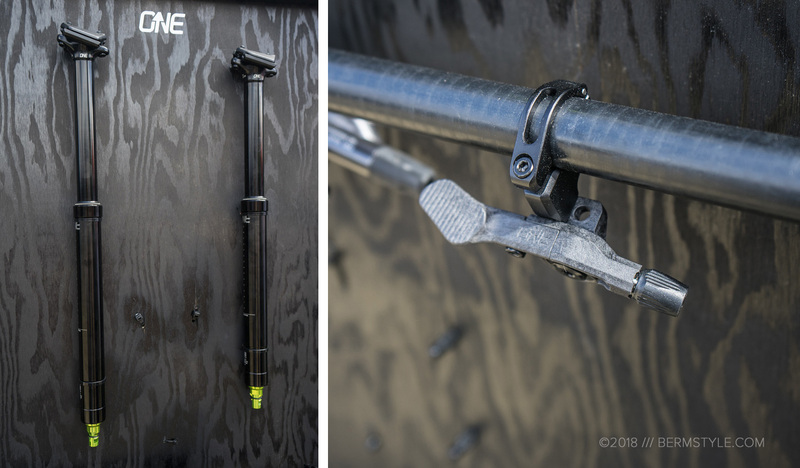 The post boosts the shortest insertion length of the long travel posts currently available, and on top of everything else, if you need to fit it on a frame with a minimal amount of stand over, you can simply lower the travel to any length you’d like using OneUp’s travel adjust shims.